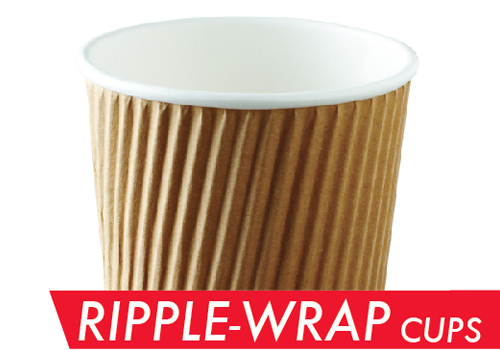 Ripple-Wrap cups are ideal for hot liquids. The innovative sleeve is attached and does away with the need for separate cups and sleeves. Discover for yourself how the unique corrugated paper wrapping provides increased hand-comfort, heat insulation and premium brand presentation. In stock in kraft or black, add some “cool” to your hot cup lineup.